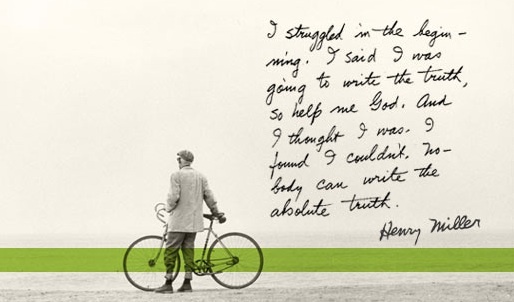 Henry Miller (December 26, 1891 – June 7, 1980) was an American writer, known for his unconventional style of story-telling with unique blend of character study, social criticism, surrealistic association and mysticism. Some of his most celebrated works include Tropic of Cancer, Tropic of Capricon, and The Rosy Crucification. Here I have compiled down some of the famous Henry Miller quotes and sayings. Just hope you will like the quote compilation and will share some of quotes from this page.